Just Energy Group Inc. issued the statement below concerning recent market activity. Just Energy's statement is reproduced verbatim below. 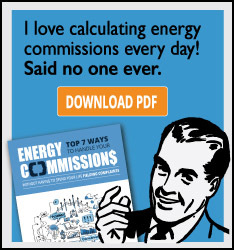 EnergyChoiceMatters.com disclaims any responsibility for the content or data contained in the release below, and makes no averment as to its accuracy or statements. TORONTO, Aug. 23, 2018 -- Just Energy Group, Inc. (TSX:JE; NYSE:JE), a leading consumer company specializing in electricity and natural gas commodities, energy efficiency solutions, and renewable energy options, today issued the following statement regarding recent market activity. In recent weeks, shares of Just Energy have come under unwarranted market pressure, and the management team believes it is prudent to provide a mid-quarter update on the health of our business and our second fiscal quarter that will close on September 30, 2018. We are pleased with our progress against our fiscal year plan, as year-to-date results are aligning with the expectations of Base EBITDA guidance of $200 million to $220 million, as well as longer-term performance expectations. The core commodity business continues to perform well and the embedded gross margin on our existing book of business rivals all-time Company record levels at $2.0 billion. During the summer months in ERCOT, we successfully implemented pricing and cost reduction actions as a result of the volatility and opportunities presented to us. As a result, we expect the second fiscal quarter to be relatively in line with the same period of fiscal 2018. However, we expect to see the results of the recent pricing and cost actions to contribute in the fiscal third and fourth quarters, driving performance beyond historical levels and supporting guidance for the current fiscal year and earnings growth into the future. We welcome each of our loyal shareholders and those with an interest in learning more about our Company to join us at our upcoming Investor Day on September 13, 2018 in New York. The event details can be found within this release, along with webcast instructions to listen to the management team present our corporate strategy and vision for our future. Just Energy will host its Fiscal 2019 Investor Day in New York City at 8:30 a.m. EDT on Thursday, September 13, 2018. 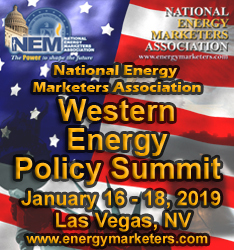 At the event, Just Energy’s management team will present the Company’s strategic vision, key product and channel initiatives, risk management, and long-term financial goals. Additional information may be found on our Investor Relations website http://justenergygroup.com/Overview.aspx. 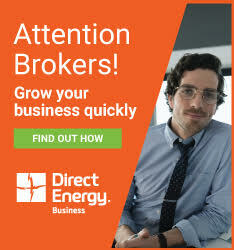 Established in 1997, Just Energy is a leading consumer company specializing in electricity and natural gas commodities, energy efficiency solutions, and renewable energy options. With offices located across the United States, Canada, the United Kingdom, Germany, Ireland and Japan, Just Energy serves approximately 1.6 million residential and commercial customers providing homes and businesses with a broad range of energy solutions that deliver comfort, convenience and control. Just Energy Group Inc. is the parent company of Amigo Energy, Green Star Energy, Hudson Energy, EdgePower Inc., Tara Energy and terrapass. Visit justenergygroup.com to learn more.